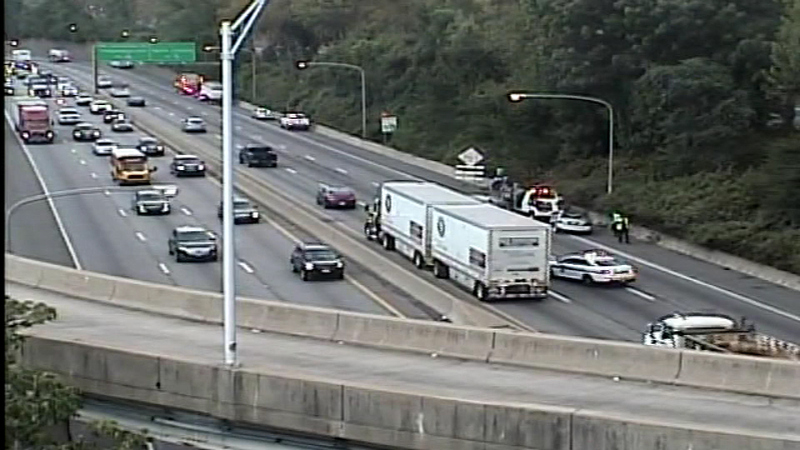 September 13, 2016: The crash, involving a dump truck, a tractor-trailer and a passenger vehicle, happened around 6 a.m. at the Girard Avenue exit. 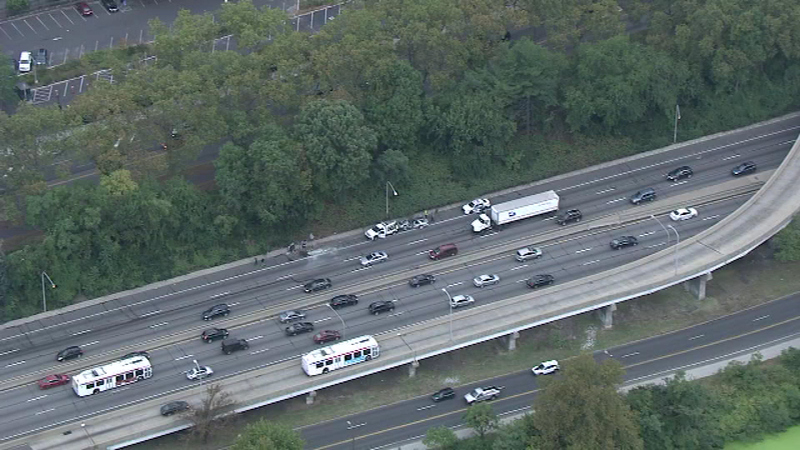 PHILADELPHIA (WPVI) -- All lanes are back open after a multi-vehicle crash that caused major delays in the eastbound lanes of the Schuylkill Expressway (I-76) near Philadelphia's Fairmount Park. 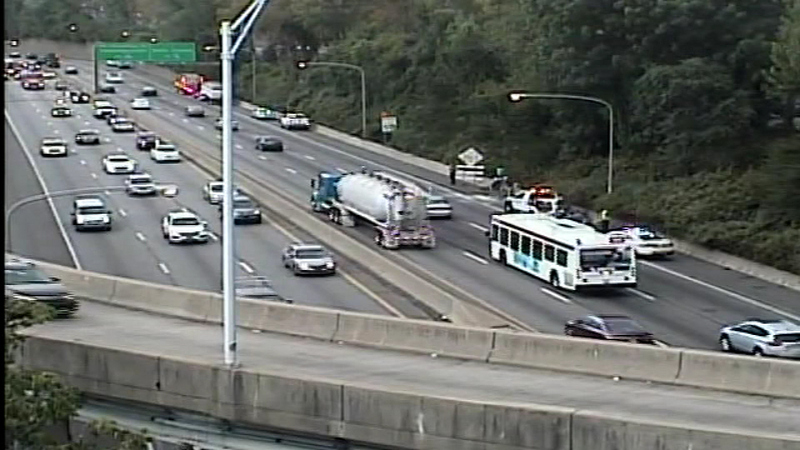 The crash happened around 6 a.m. Tuesday at the Girard Avenue exit. 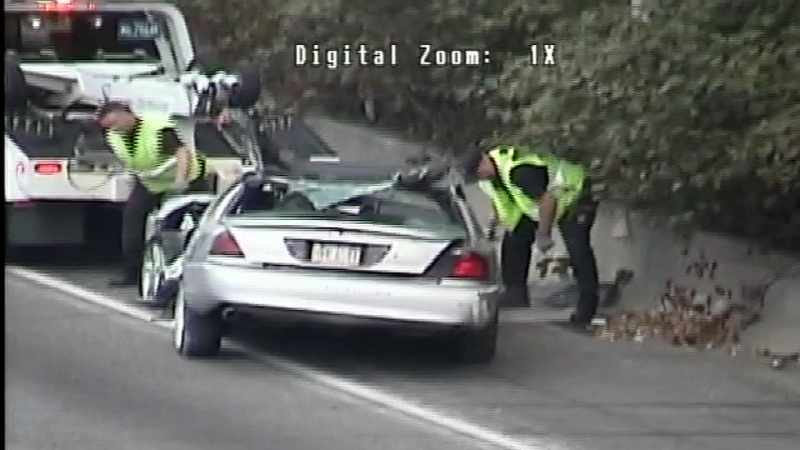 Video from Sky 6 cameras near the scene showed the result of the collision, which involved a dump truck, a tractor-trailer and a passenger vehicle. Multiple fire and rescue units were on the scene. 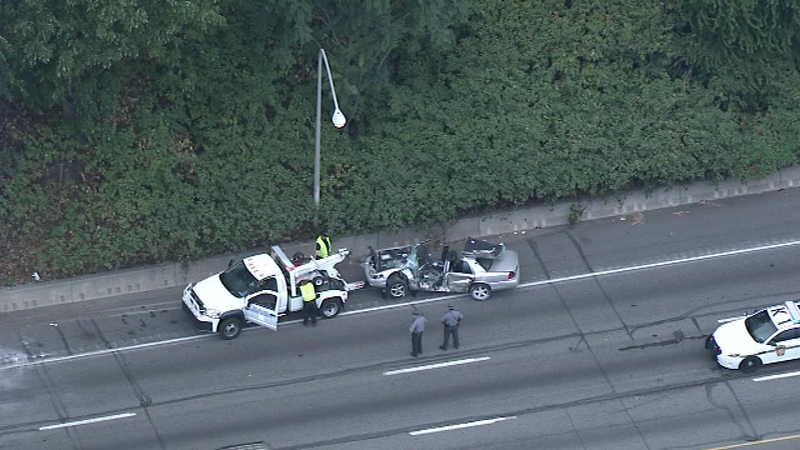 A multi-vehicle crash has shut down the eastbound lanes of the Schuylkill Expressway (I-76) at the Girard Avenue exit. First responders worked for about 20 minutes to free a man from the passenger vehicle, which was wedged between the tractor-trailer and a concrete barrier on the right shoulder of the highway. Action News is told the man was taken to Hahnemann University Hospital with stable vital signs to be treated for leg injuries. 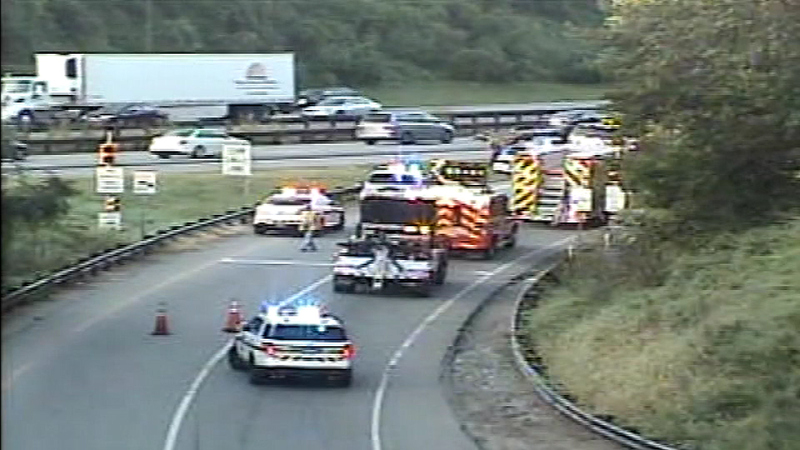 All eastbound lanes of I-76 were closed at the scene for nearly an hour. Traffic was at a standstill, with the backup extending well past the Montgomery Drive exit. 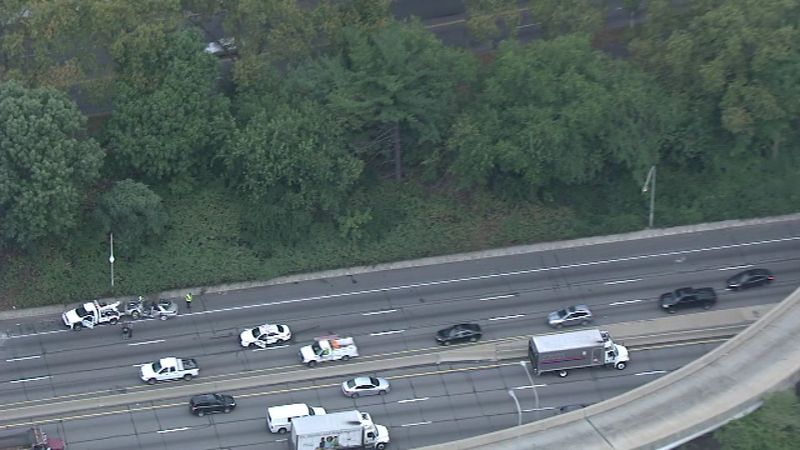 By 7 a.m. police had opened the left lane of the highway, allowing some traffic to get by. 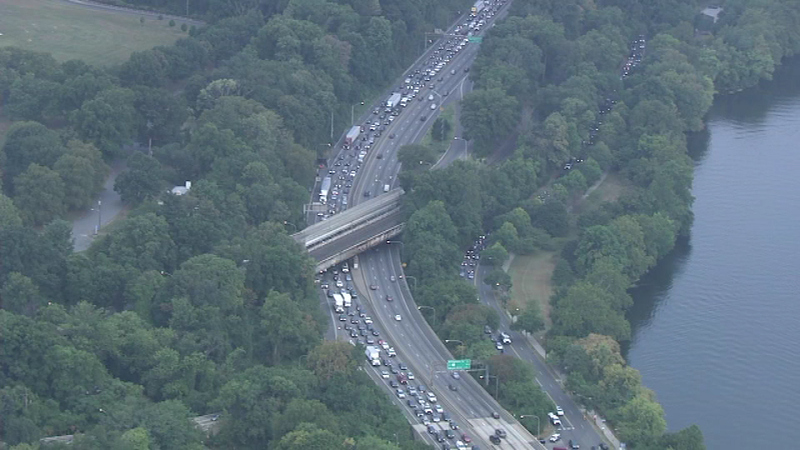 All lanes were back open by 8 a.m. 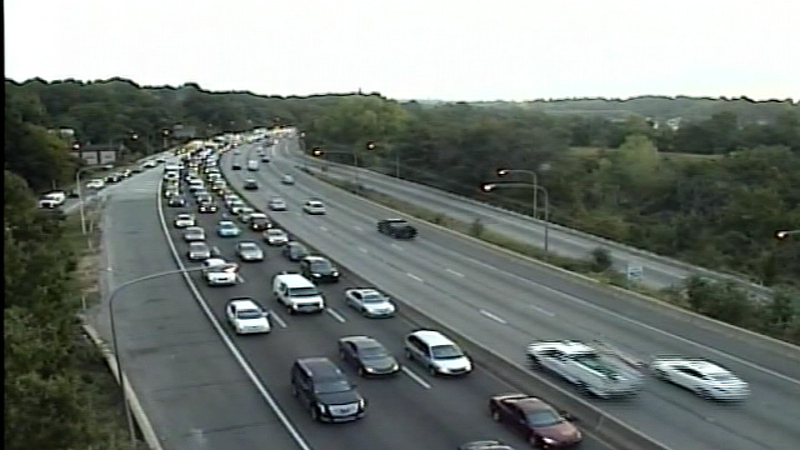 Motorists were advised to expect continued delays through the rest of the morning rush hour.